This is a quick video to show you the sliding doors assembly in our warehouse. First, the aluminum pieces (the framing) is cut to exact measurements according to the assembly scheme. Then, the necessary holes are pierced in the vertical handle profiles for the screws. Next, the silicone seals are wrapped around the perimeter of the insert materials followed by the attachment of the aluminum into the inserts. Finally, the rollers are attached using special strengthened screws. Ask us questions and leave us your comments! There is not a single apartment without a closet. Previously, it all boiled down to a model with swinging doors. Now the doors of the cabinet can be opened in different ways. 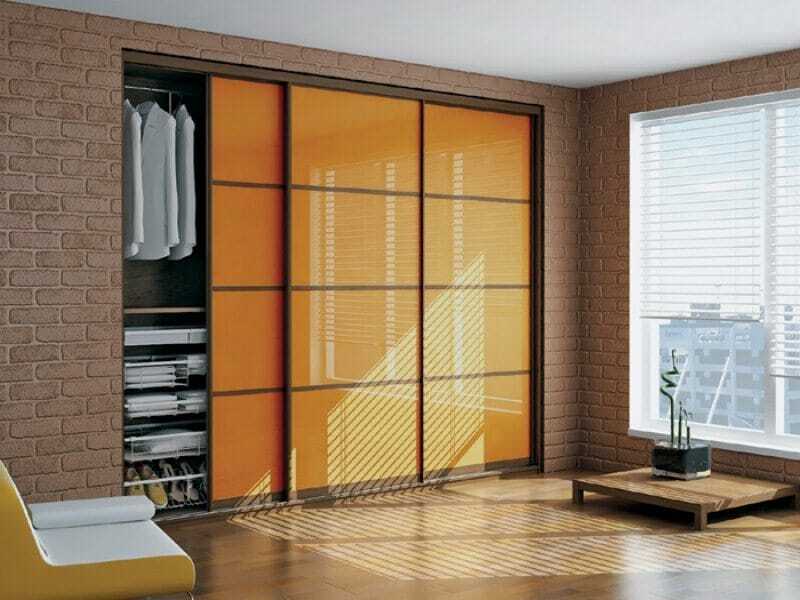 To save living space, we developed modern wardrobes and sliding doors. They not only conveniently open apart, but can perfectly complement any room. See it for yourself in “Sliding Doors” or by clicking the image below!